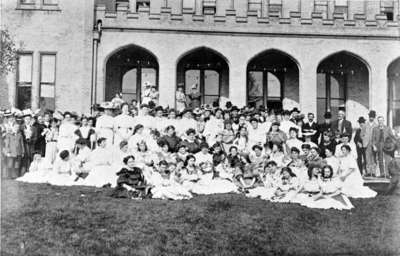 This is a black and white photograph of a group of students gathered in front of the Loggia along the front of Frances Hall at Ontario Ladies' College. Gathering at the First May Court Festival, May 24, 1907, George I. Wilson. Whitby Archives 23-000-127.